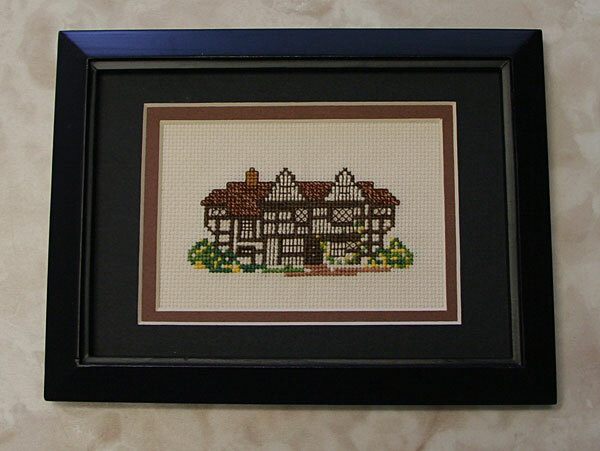 And this was another kit that I bought on a trip to the UK, this time north Wales. 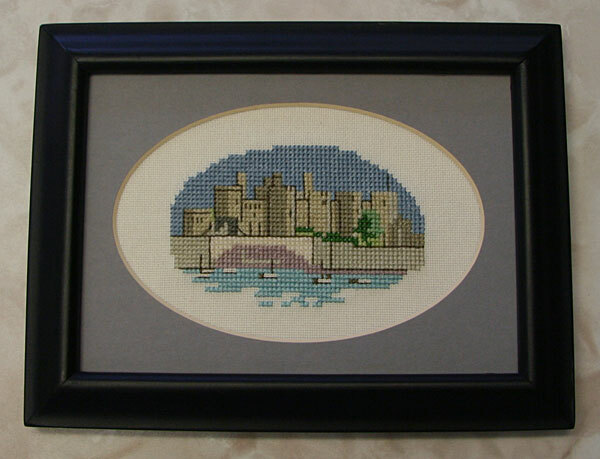 This is a small design of Conwy Castle that I bought at the castle giftshop. At least this one only took me 7 years to finish. If I remember correctly, I did most of the stitching on it on one of my trips to Maine. Here are a couple more old cover kits from the mid-1990s that I finished up a few weeks ago. I think all of these are from Needlecraft magazine. 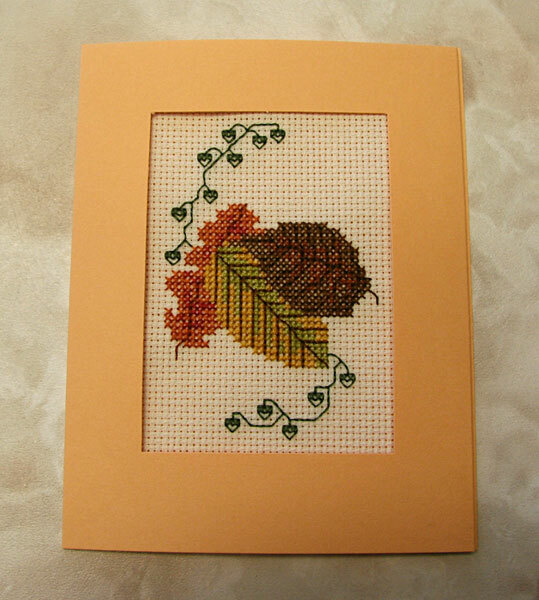 The leaves one had some lettering that I left off, since I liked the design without them. 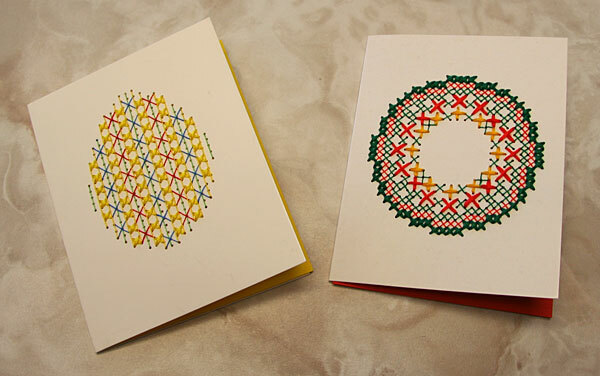 The wreath and egg were punched card designs, which I had never done before. I like the results, but punching 6 strands through those holes can be a little hard on the fingers (actually 12 strands where they double up through the eye of the needle!). 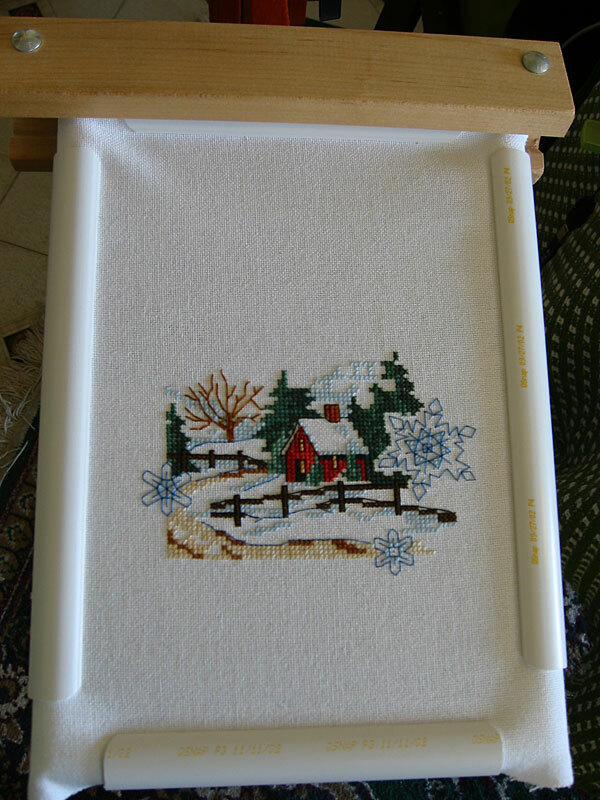 And last but not least, here is my progress on the Winter section of the four seasons design. The photo was taken early on Saturday and I did a bunch of work on the upper pine needles yesterday (and I'm about to finish another snowflake this evening). I generally don't set monthly goals (since I know I mostly won't meet them) but I'm thinking I'll get this one finished by the end of October. I wanted to do a Halloween piece this month, but I'm trying to not have too many things going at once right now.